Cremains encased in glass is a wonderful way to memorialize your loved ones or pets, and carry them close to your heart. 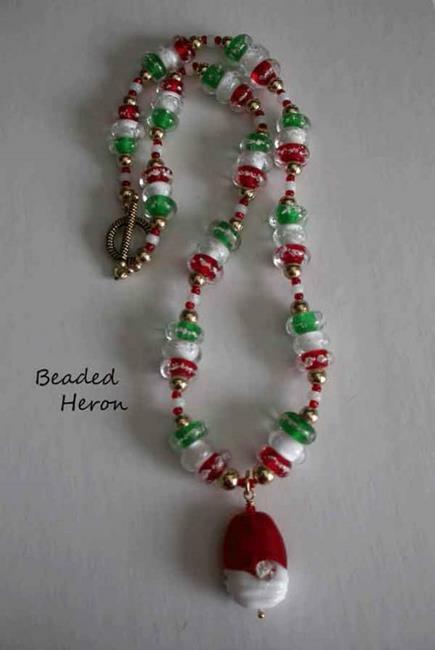 The encased cremains in this necklace were a Grandma, who's favorite holiday was Christmas. 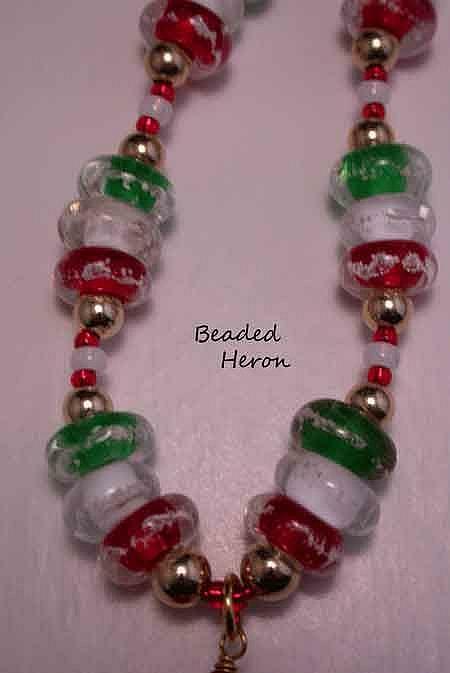 The red, white, and green glass base spacer beads containing the ashes were encased in clear, in what I call the window style bead. 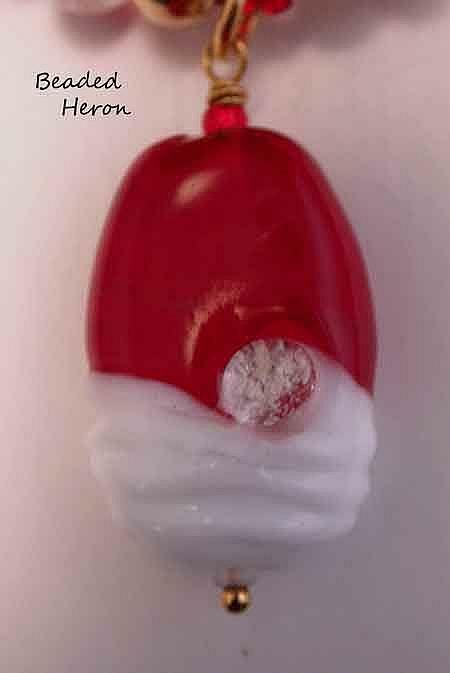 A center focal bead contains ashes under the bubble, where they appear magnified and snow-like. 14 carat gold filled spacer beads made for nice accents, and dressed up this lovely piece. I will work closely with you to create your own one of a kind memorial jewelry piece or beautiful pendant, a lasting treasure by communicating closely with you every step of the way to ensure I do my best to accomplish the piece that you envision.